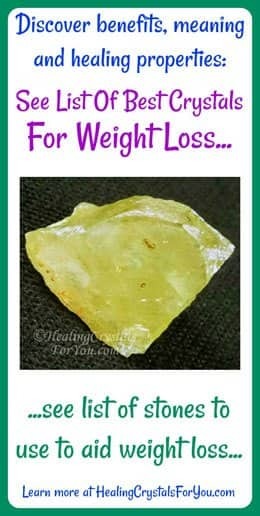 Crystals for weight loss may be of value to use if you have tried other methods and have not been successful. There are quite a few crystals that are known to be beneficial to help you to lose weight. The top six stones on the list are the most effective stones to help you achieve your goal, and they work for different reasons. Some of the reasons why they work are a little surprising, so check them all out to see which ones might be beneficial for you to use. Many of the top crystals to aid you with losing weight have a beneficial effect within the digestive system. But there are a number of other attributes that make these crystals so effective. Read about the top healing crystals for you to consider for this purpose, and learn about those stones that have a positive energy to help you to manage your weight. How To Use Crystals For Weight Loss? 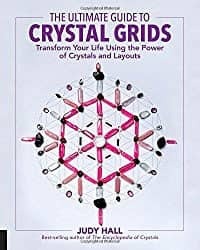 This article helps you to discover which crystals to use to help you to lose weight and how you might use them. There are two lists below. The first list includes stones that have a large number of metaphysical attributes that make them useful to help you to lose weight. The second list includes stones that have less reasons to use for this purpose, but if you already have them use them as well, as they could be useful to enhance weight loss. Are you wondering how to use crystals for weight loss? 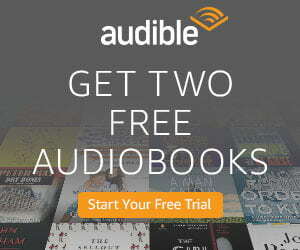 The first way you might utilize them is to keep them close by during the course of the day. If you have jewelry made from them, this makes it easier to keep them within your aura, so that they can have the maximum effect possible. If you don't have or can't find jewelry made from them, simply keep a piece of the stone in a cloth bag in your pocket. You could also obtain or make a macrame stone holder so you can change the stones you are using. Holding any of the crystals for weight loss in your hand before you eat a meal may be effective, especially if they are stones that work due to their action to aid your digestion or if they boost your metabolism. I often keep a piece of a stone I am using for a specific purpose on my desk near where I am working. This is useful if you have large specimens or when they are stones that you feel uncomfortable about having on your body. You might choose to use them in meditation, as many have other useful attributes, and you may obtain guidance at this time. Lastly place one of these stones on the bedside or under the pillow, where their energy will resonate all night while you are sleeping. This is the list of the most well-known and effective crystals that can help you to lose weight. 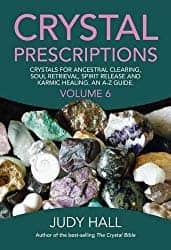 All of the stones on the list have some metaphysical properties that assist weight loss, and depending on the crystal there are various reasons why they help. Read through the list below to see if you already have any of these stones. If you need help deciding, be aware that the top six crystals all have their own in-depth article where you can read about other attributes of the stone that may also benefit you. Almost all of the stones in the bottom section also have their own page as well. 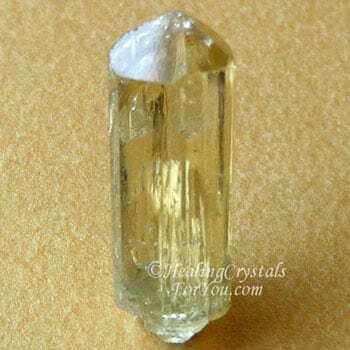 Yellow Apatite has a potent action to aid weight loss. This relates to its effect to fire up your metabolism. The way that it helps to trigger the release of sluggish energy from within the solar plexus chakra. 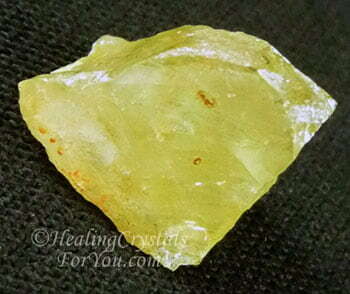 Its energy within the solar plexus may also boost your will power, which could be helpful. It has a good action to enhance your digestion and is known to stimulate a number of other organs in the body, including the liver, the gall bladder, the pancreas and spleen. It may boost your energy and has an effective detoxifying effect, and is said to help to release cellulite. Another interesting way that it can help is to aid the release of anger. This relates to weight loss as it is reported that anger can be stored in body tissues and when you begin to lose wight you may be affected by this negative energy circulating in the body. Picasso Marble is known to help you with weight loss for a few different reasons. Its vibration helps to strengthen your self control so this could be valuable to prevent over-eating. 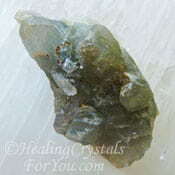 Keeping a piece of the stone on your body may be helpful, as the longer it is within your aura the better. The energy of this stone helps to regulate your metabolism which may be beneficial, and it also assists stress so it will keep you calm during your weight loss journey. 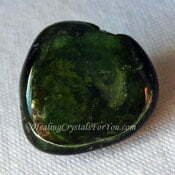 Read more about it on the in-depth page about this stone. Note: it may also be found selling as Picasso Stone and as Picasso Jasper. Iolite is known as one of the crystals for weight loss due to its action to assist you to release accumulated fatty deposits, and they are said to energize and balance the metabolism. They may help to improve problems in the liver, and their vibration may aid the release of toxins that have been stored in the body fat. They also have some other healing properties that aid weight loss. Their action to stimulate the imagination can also be helpful. 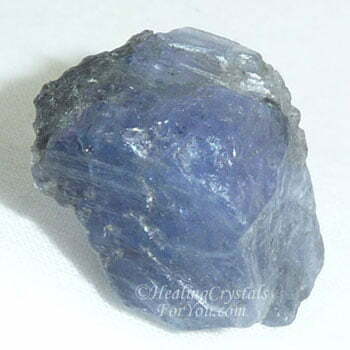 It may be useful to hold your Iolite while in meditation, and visualize how you wish to look. Allow yourself to imagine how you might look once you have lost the weight. Gaspeite is known to be helpful to aid weight loss, and this is partly related to their action to stimulate your metabolism. But it also helps for a quite different reason to some other stones. 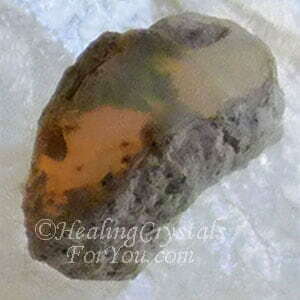 This stone is useful to help you with letting go of clutter. Not all clutter is physical stuff, but can be old emotions that you have found hard to deal with. Once you process emotions that are behind old issuess you may be able to let go of them. 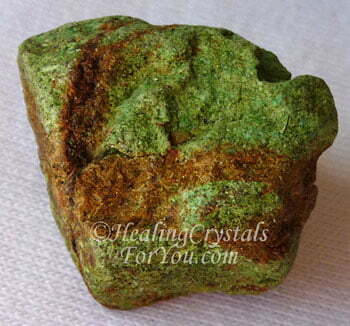 This attribute makes it an effective crystal to use to assist you to release excess weight. Sometimes we hold onto stuff for emotional reasons, and this is often true of weight. So if this is why you have been unable to let the weight go, Gaspeite may be helpful. 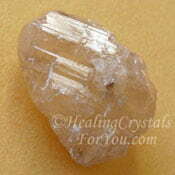 Diaspore crystals have a lovely energy. They have a quite calming vibration and are wonderful to use in meditation, as well as aiding weight loss. 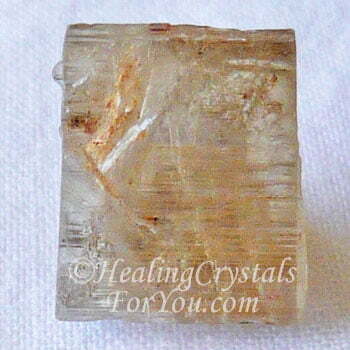 This is a high vibration crystal that has a good energy to assist you to lose weight. The reason why they may help you relates to the fact that their energy is known to moderate or prevent water retention. They have a number of other useful metaphysical properties. As well as being one of the crystals for weight loss, they are also known to be beneficial to relieve stress. They are also beneficial crystals to help the memory, including age related memory loss and may stimulate lucid dreaming. 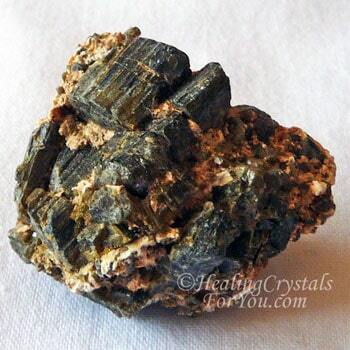 Epidote is another crystal that works for a different reason to some of the other stones. 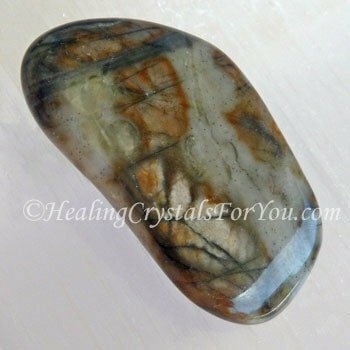 The energy of this stone is particularly helpful to aid those who have felt rejected by other people and this rejection has led to putting on weight. These crystals have an energy that helps you to let go of emotional stuff you might be holding onto, and this in turn may assist you to let go of excess weight. They have an uplifting energy which can help with the release of old emotional issues that may be related to why you have put on weight. They help you to notice when its time to rest more and may assist you to pay attention to what you are eating. Their energy helps you to feel lighter and less restrained by the opinion of others. There are a number of other stones that may help you to lose weight including Green Tourmaline, Ethiopian Opal, Cerussite, Sunstone, Green Heulandite, Dream Quartz and Purple Amethyst. Green Tourmaline: the energy of this crystal has a good effect that can aid detoxification so this might help weight loss. Ethiopian Opal: helps you to keep your weight in proportion. Sunstone: The energy of these stones helps the metabolism, has a good action at the solar plexus to boost will-power and helps to relieve stress. Cerussite: This is a good stone to aid weight loss, but as it is a lead based stone its not good to keep on the body, but may be effective if kept nearby. Dream Quartz: This crystal also contains Epidote and so is also effective for the same reasons as Epidote... see information above. 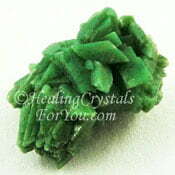 Green Heulandite: These crystals help you to let go of feelings of dis-satisfaction and negative opinions about yourself. Amethyst: I have not included Purple Amethyst in the above group as it does not have a a specific energy that may aid weight loss but it does help addiction. Amethyst has a good action to assist with addictions, and while excess weight is not always related to addiction, if you know that this relates to you, its energy may assist you. 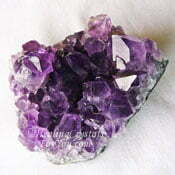 This purple stone is also one of the violet flame healing stones. 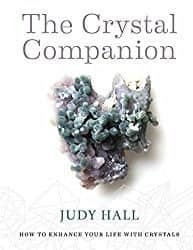 This quartz crystal is one that many of you will already have, so it may be beneficial to use it if you feel that your issue is related an addiction to one or more foods. Ethiopian Opal helps you to keep your weight in proportion. Its energy assists you to have a balanced weight, and for it to be neither too high or too low. 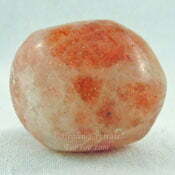 This is another stone that assists with the release of anger. Sometimes holding onto anger can be related to also keeping weight on. By letting go of angry feelings you might also be able to lose weight. 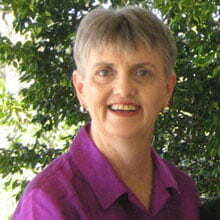 They also help you to let go of depression, and they are said to assist those with eating disorders.